Hume reduced philosophy to ruins, denying the existence of everything except our actual perceptions themselves. The world is nothing more than part of my consciousness. Yet we know the world remains, and we go on as before. What Hume expressed was the status of our knowledge about the world - a world in which neither religion nor science is certain. 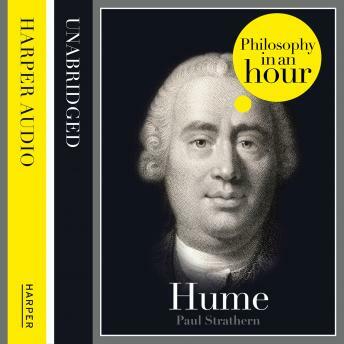 This audiobook is an expert account of Hume's life and philosophical ideas - entertainingly written and easy to listen to. Also included are selections from Hume's work, suggested further reading, and chronologies that place Hume in the context of the broader scheme of philosophy.